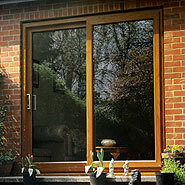 Our french doors and patio doors are practical, tough, weather proof and secure and available in UPVC or aluminium. The French door is a classic style of door which can add a touch of distinction and charm to your home. Available as inward or outward opening doors they bring light and space into your room, creating a seamless link between your home and garden. French doors are ideal for living rooms, dining rooms, conservatories and sun rooms. 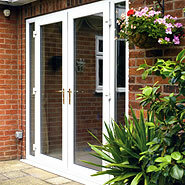 Our French doors offer excellent levels of security and have robust locking mechanisms. Available in two, three or four-pane versions to suit the size of your room, patio doors are ideal for lounges, conservatories and sun rooms. They open up your garden bringing the outside in, and let in a large amount of natural light - you�ll be surprised how spacious and airy your room can feel. Our patio doors are secure too, fitted with shootbolt or hookbolt locking mechanisms to prevent break-ins.